A GoFundMe campaign for Tanitoluwa Adewumi and his family has raised $176,634. An 8-year-old Nigerian refugee, who lives in a homeless shelter in New York, won the state’s chess championship for his age bracket. Tanitoluwa Adewumi may have an uncertain future, but one thing he’s sure of is that he wants “to be the youngest grandmaster,” he told The New York Times. The third grader, who goes by Tani, shared his journey with the publication, and his path to the championship has not been easy. Tanitoluwa and his family fled northern Nigeria in 2017, fearing attacks by Boko Haram terrorists. They arrived in New York City where a pastor helped them connect with a homeless shelter. Tani began attending the local elementary school, P.S. 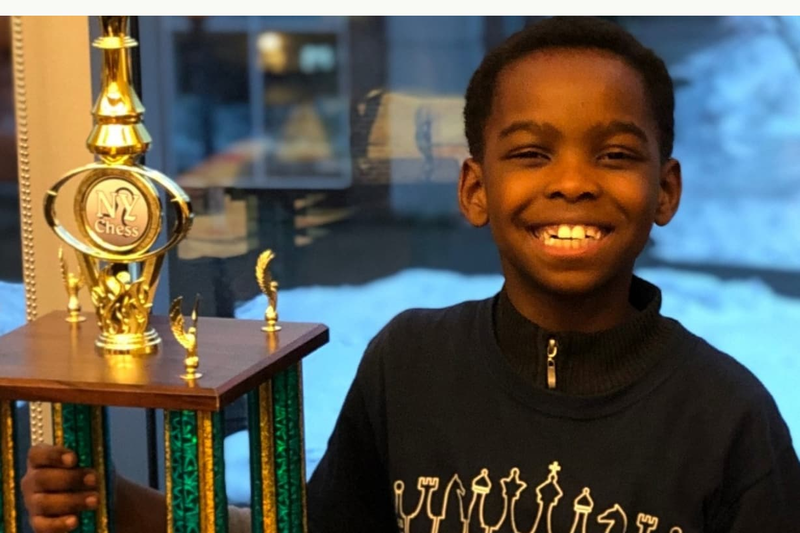 116, where he joined the chess club and after a year of practicing daily on his own for hours, Tanitoluwa placed first in the New York State Scholastic Championships tournament for kindergarten through third grade, USA Today reports. Makofsky set up a GoFundMe for Tanitoluwa and his family to help them move out of the shelter. Within days of the launch, the campaign far exceeded its $50,000 goal, raising over $160,00. The family has also received offers for housing, a car, and legal services, he said. NBC NewYork noted that Tanitoluwa and his family are now preparing to move into a new home. Complex reports that his family applied for asylum in the U.S. and have an immigration hearing in August. Meanwhile, Tani is preparing for the national championship in May.